Chloris verticillata. Billy E. Warrick, Ph.D.Uvalde Research and extention Center.Texas A&M University System.www.soilcropandmore.info (Accessed 4/2014). 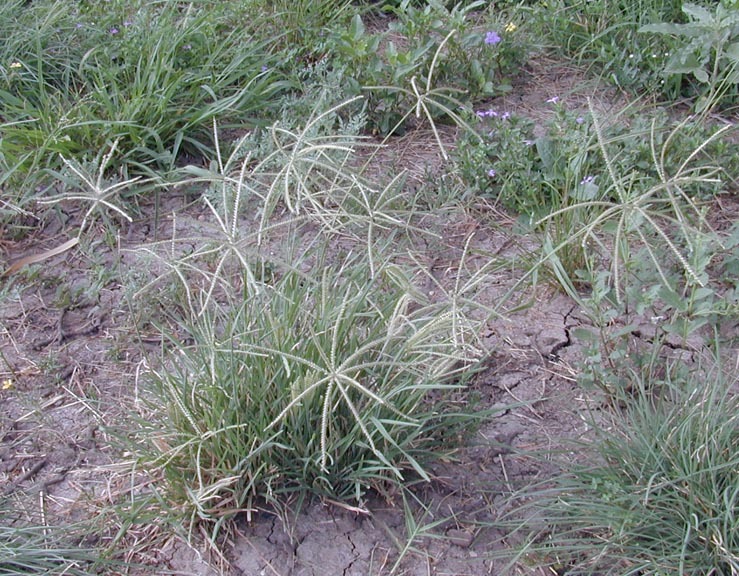 Chloris verticillata is a perennial grass (probably C4; see Waller and Lewis 1979), stems densely tufted, 10-40 cm tall. Leaves mostly near base, sheaths compressed; blade 5-15 cm long, 0.2-0.4 cm wide, light green. Chloris verticillata spikelets. By Anna Gardner. Copyright © 2018. Ada Hayden Herbarium – Iowa State U. New England Wild Flower Society. gobotany.newenglandwild.org (Accessed 1/2018). 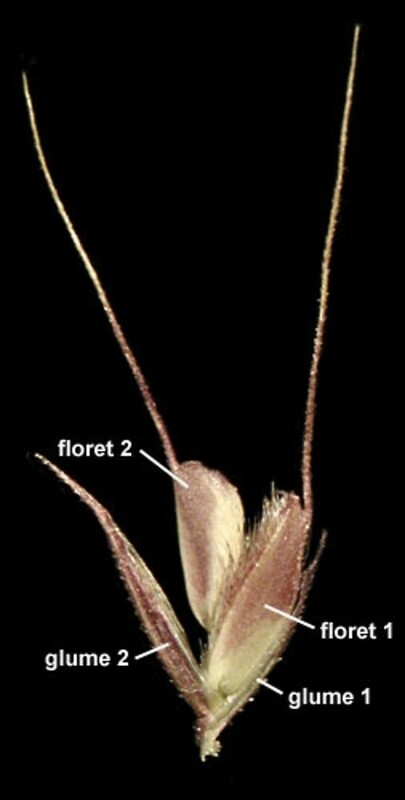 Flower spikelets with 1 fertile floret and one or several empty lemmas above it; glumes unequal, 0.2-0.4 cm, tip short-awned; lower, fertile lemma less than 0.3 cm, margins hairy, awn 0.5-0.9 cm, from near tip, sterile lemma much shorter, with an awn to 0.5 cm. ; inflorescence of numerous spikes 6-15 cm long, in whorls along a short axis; blooms and fruits June-Oct.